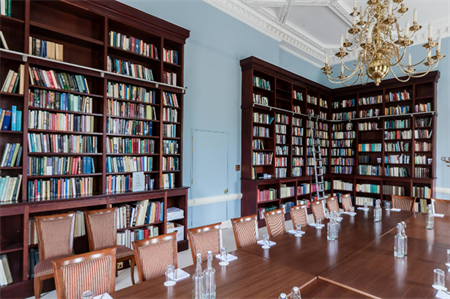 London's Carlton House Terrace, home of the British Academy, has opened the Lee Library for corporate event hire. The Lee Library is situated on the ground floor of the historic building, previously home to Prime Minister William Gladstone. The event space features a high ceiling and large windows that allow lots of natural daylight, as well as book-lined walls filled with literature dating back to 1902. The Library can accommodate up to 60 people theatre style, 100 people for a stand-up reception and up to 60 people for a sit-down dinner. The room also adjoins the Reading Room, which is also available for hire to allow for more flexibility and capacity. The venue offers complimentary wi-fi for delegates and audiovisual services are available on request. There is full wheelchair accessibility.